This week’s blog looks at wellbeing research from the Intergenerational Foundation on a new Index measuring young people’s wellbeing over a decade. David Kingman, Senior Researcher at the Foundation, explains why family relationships and perceptions of health play such a key role. Our final results were surprising: as we expected, they suggest that the wellbeing of twenty-somethings fell by 10% overall between 1995 and 2015. But, rather than being driven primarily by economic factors this decline was mainly the result of a decrease in the strength of people’s family relationships and how they assessed their own health. The Index showed that 20 years of economic stagnation has affected more than just young people’s economic wellbeing; cracks now seem to be appearing in their closest relationships and sense of belonging. 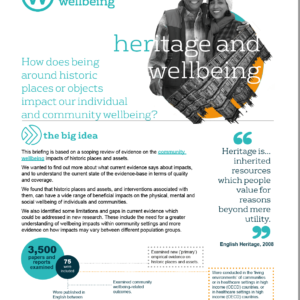 ‘Belonging wellbeing’ has seen very large declines – dropping 32% – since 2005 because of falls in volunteering, interest in politics and observing a religion. These are all activities that have been strongly associated with a sense of belonging and a level of trust in society. In order to measure changes across these five domains, we identified a set of 23 variables within the British Household Panel Study (BHPS) and its successor Understanding Society. We believe these variables could plausibly be used as indicators for the five domains of wellbeing identified above. We wanted to to compare the average level of wellbeing across each of these five domains, and then produce a total wellbeing score, for three different cohorts of people who were in their twenties. We verified that the model was robust and then weighted the final data using a subjective weighting method. This step was necessary mainly because one of the variables we included measured access to technology (computers and the internet). As this indicator showed the largest increase of any between 1995 and 2015 we needed to assign it a smaller weight to reduce its impact on the overall Index scores because there is no plausible evidence to suggest that access to the internet has a bigger impact on wellbeing than people’s health or relationships). We launched the findings from our Index in collaboration with the BBC last August, and the story was one of the most read stories on BBC News that day, reaching almost 750,000 readers, which demonstrates the level of public interest in intergenerational inequality. 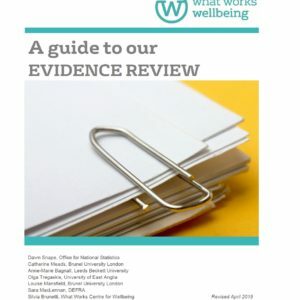 We are now planning to update our Wellbeing Index annually in the future, and look forward to making further methodological improvements as we work on developing it in the years ahead.